The much anticipated film, Maleficent, starring Angelina Jolie is finally in theaters and I was so excited to have the opportunity to watch it last night. 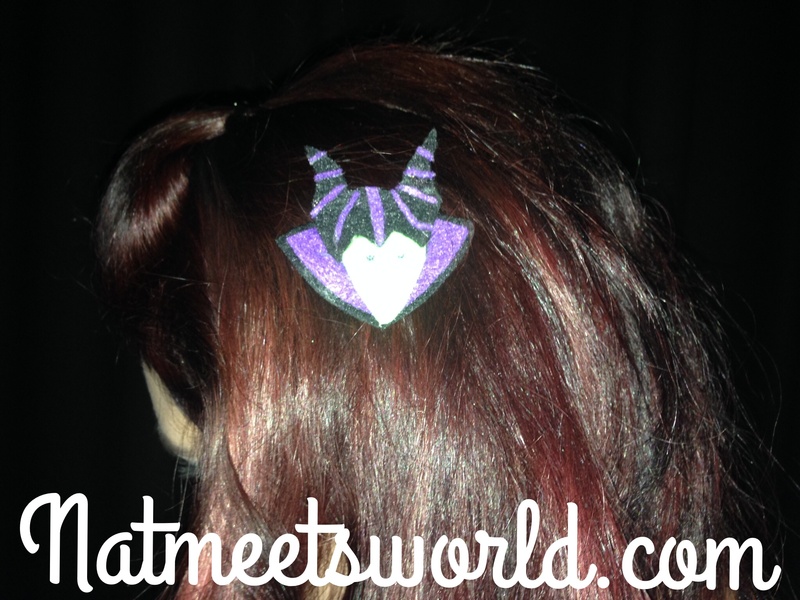 As always, I dressed for the occasion with my Maleficent shirt, horns, and hand made felt hair pin! 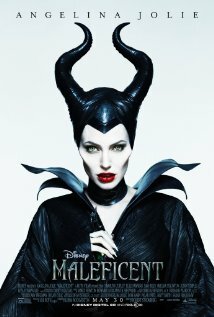 Maleficent tells the enchanting tale of the classic vengeful fairy and her trials and tribulations throughout her childhood leading to adult hood. It is here that you will encounter how her past has molded her into the villain that she is today. This is going to be a challenging review because I do not want to spill the beans too much, being that there are a lot of concepts I don’t want to ruin for your experience, so I will only address the concepts that are necessary to get you excited for the film. The graphics were absolutely amazing! As usual, Disney was flawless with their attention to detail on every single aspect of this film. Everything looked so real and inclusive with the concepts that were included in the film. I also enjoyed the storyline and felt that it was very well written and portrayed on screen. I really appreciate how the story was much like Sleeping Beauty which kept true to the original concepts that Walt Disney created, however, the small tweaks that were made to make this story original were very unique. You will be able to really understand why Maleficent is the way that she is, and you may even question the hearts of the villains and see them in a whole new light. With that said, Angelina Jolie was honestly the best choice Disney could have made to portray such an iconic character. Her grace and talent really made her and the character shine. She was beautiful, humorous, evil, and charming all at once. Elle Fanning (as Aurora) was also portrayed very much like Princess Aurora in the original Sleeping Beauty film and kept her performance very classy. I felt like each and every one of the actors in this film did an amazing job, and I wouldn’t be surprised if they were in a future disney film. My hunny and I walked out with smiles on our faces and could not stop discussing the movie on the way home. Now on to the most popular question…..is this movie safe for the little ones? YES! I would absolutely let my children see it (if I had one/some LOL). The film is rated PG for the ‘scary’ scenes, however, the commercial makes it look a lot darker than it really is. There are several light hearted scenes and heartwarming moments for the audience. Some little love bugs may not understand every single thing that is going on, but for the most part, they will make sense of the plot as the movie goes on. This image is owned by IMDB.com. I rate Maleficent 5 out of 5 stars! This is not a movie you are going to want to wait for on DVD to see. 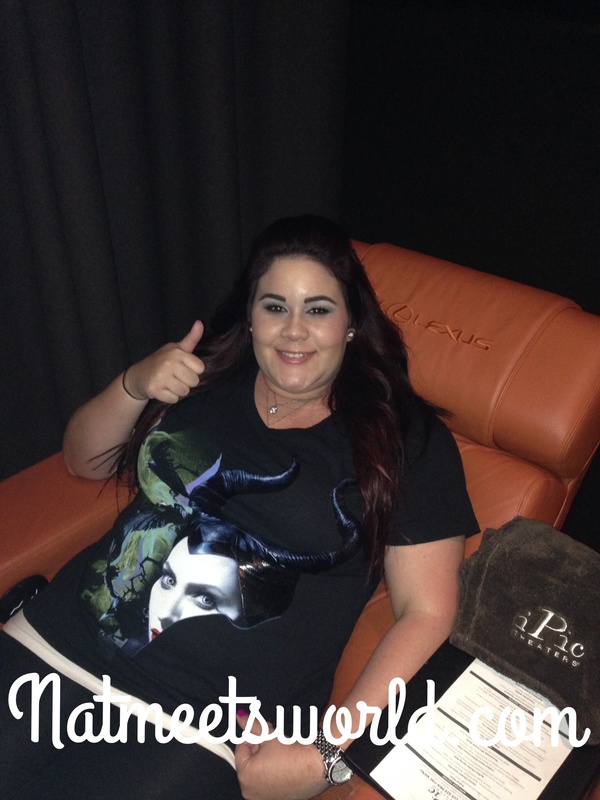 Head over to the theater and check out Maleficent. Tell me what you thought of it in the comments below! Disclosure: The opinions and reviews for this film are solely based on my opinions. All pictures are my own, except for the film poster.